Please contact me regarding the 2019 Talbert AC-20-AR 20 Ton Tag Trailer w/ Air Ramps - Stock# N118-NC-GL for sale at TruckerToTrucker.com. 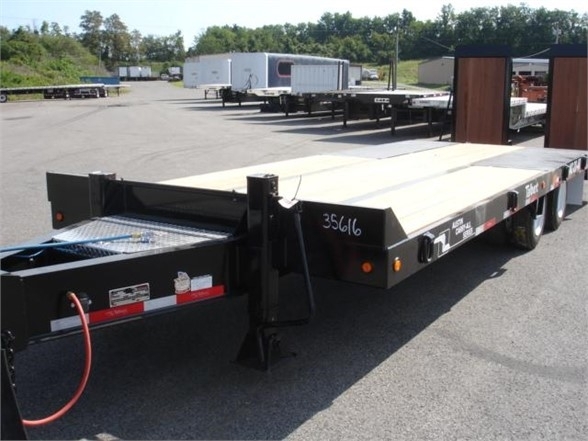 Take a look at this 2019 Talbert AC-20-AR 20 Ton Tag Trailer w/ Air Ramps. It is Stock# N118-NC-GL at TruckerToTrucker.com. New Talbert AC-20-AR 20 Ton Tag Trailer with Auto Air Ramps, 32x102 with 5'6" Tongue with Lockable Toolbox, Dual Landing Gear, 21' Flat Deck with 6' Beavertail, 32 1/4" Loaded Deck Height, (10) Lash Rings, Beavertail Full Wood Filled with 38" Wide x 6' Long Wood Filled Ramps, Steps Mounted both Sides in Front of Front Axle, 215/75R17.5 Tires on Steel Wheels. Financing available through Wabash Financial, Hitachi or BMO just to name a few, W.A.C.